Cloudy skies press close to the sea and a blanket of grey envelopes the morning. The scent of salt water permeates the air. To the east, the first hint of color .. giving hope to breaking skies and the warm caress of sunlight. Cold and wintry – even in Baja. 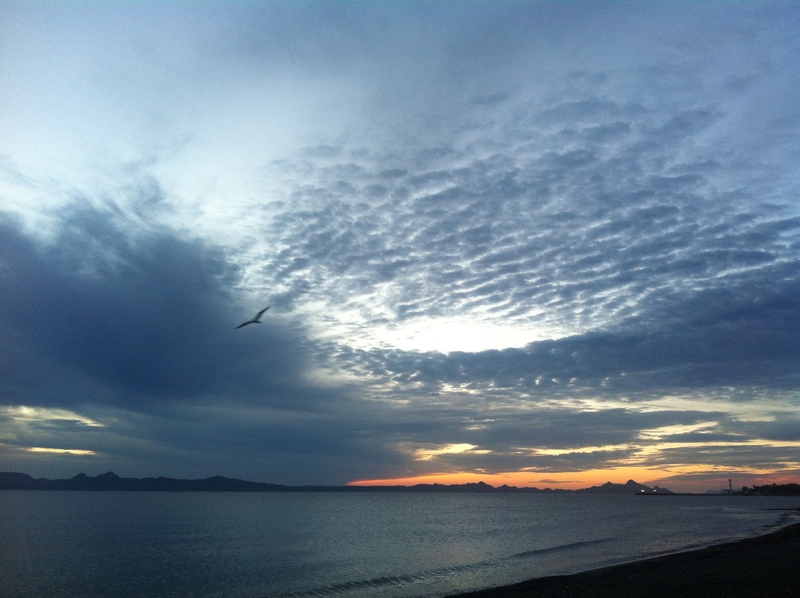 This entry was posted in Baja Living, Casa de Catalina, Loreto, Sea of Cortez, Sunrises and tagged salt water, winter. Bookmark the permalink.